Justice Terence Bruiniers (L) and Justice Tino Cuéllar present on expanding access for limited English proficient court users. SAN FRANCISCO—The Judicial Council of California today approved two measures to increase remote access to the courts: a pilot project for video remote interpreting to aid court users with limited language abilities and the adoption of uniform standards for electronic case filings within the state court system. The proposal on a pilot program for video remote interpreting was brought before the council by Supreme Court Justice Mariano-Florentino Cuéllar, chair of the Language Access Implementation Task Force, and First District Court of Appeal Justice Terence L. Bruiniers, who chairs the Information Technology Advisory Committee. The approval for a pilot project fulfills one of the recommendations of the language access plan. The council also approved a number of translation and education products that the task force developed. The e-filing standards are derived from the National Information Exchange Model, and the council directed its Information Technology Advisory Committee to develop a plan for implementing the standards. The committee was also directed to assist in a procurement process to select multiple Electronic Filing Managers that can assist courts with e-filing. In a recent survey, 23 trial courts indicated they currently have some e-filing capacity. Dependency Funding: In a divided vote, the council tabled options for adjusting the workload and funding methodology for dependency counsel funding. The methodology would have favored smaller courts. "I would suggest that we step back and carefully consider where we want to go now," said Justice Harry E. Hull, Jr. "The Legislature has chosen not to increase dependency counsel funding, and that changes the landscape of our decision." The council will reconsider the funding allocation at its July or August meeting. 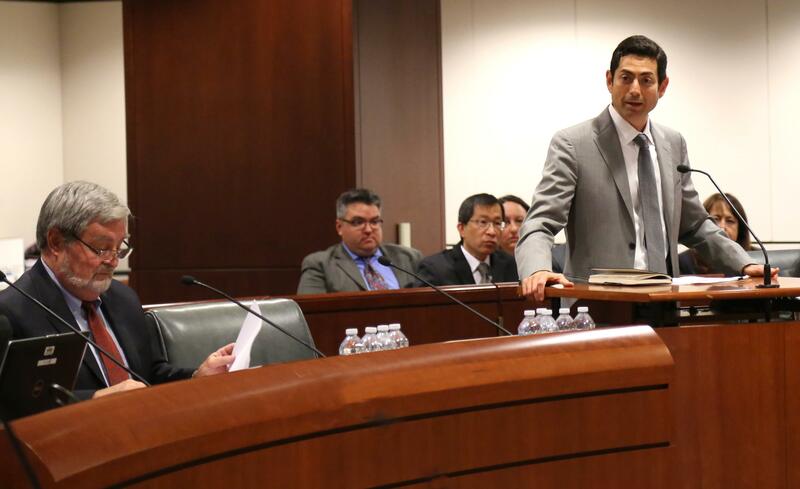 Judicial Branch Education: The council approved a 2016–2018 Education Plan, which contains training, programs, and products for judicial officers and court staff, enabling them to fulfill the education requirements and expectations outlined in rules 10.451-10.491 of the California Rules of Court. Access and Fairness Advisory Committee Report: The council received an update on the activities of its advisory committee charged with recommending ways to improve access and fairness in the court system, diversity in the judicial branch, and court services for self-represented parties. The committee also makes recommendations on education and training for judicial officers and court staff. The June 23-24 meeting agenda and council reports were posted online, and an archived videocast of the entire meeting broken out by topic will be available on the council’s meeting information webpage. Nevada County Superior Court Liaison Report by Justice Harry E. Hull, Jr.